The RoadWatch sensor measures both air and road surface temperatures (in Celsius) and sends to winter road maintenance equipment as commonly used on salt trucks and gritters. 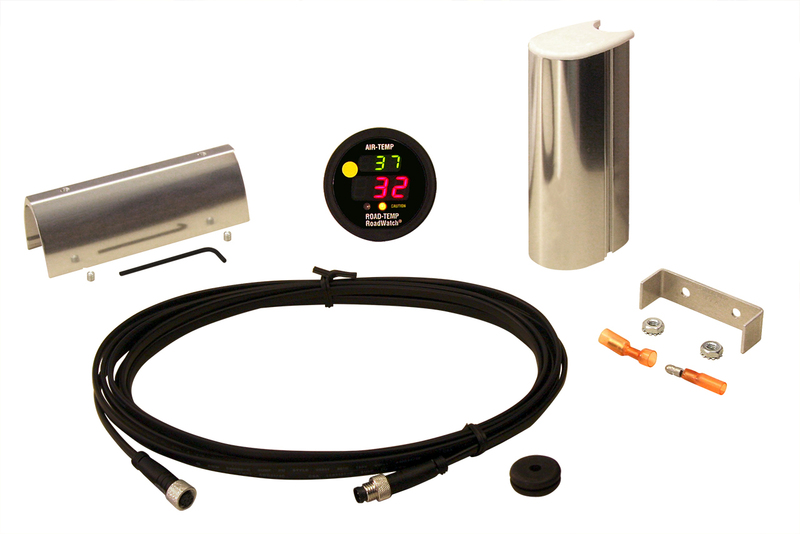 This kit includes sensor mounting hardware and a 12 foot extension cable to connect up to many popular spreaders controllers and Automatic Vehicle Locators (AVL) and Global Positioning System (GPS) devices. Depending on the manufacturers spread controller a RoadWatch RS232 adaptor (Part no. 849-1099-010) may also be required. Available in Fahrenheit or Celsius.